Gone are the days of make-shift Halloween costumes compiled of black bin bags and flour from the cupboard. Costumes have gotten more hi- tech and grown up and the fancy dress ideas have gotten more extreme and wackier. 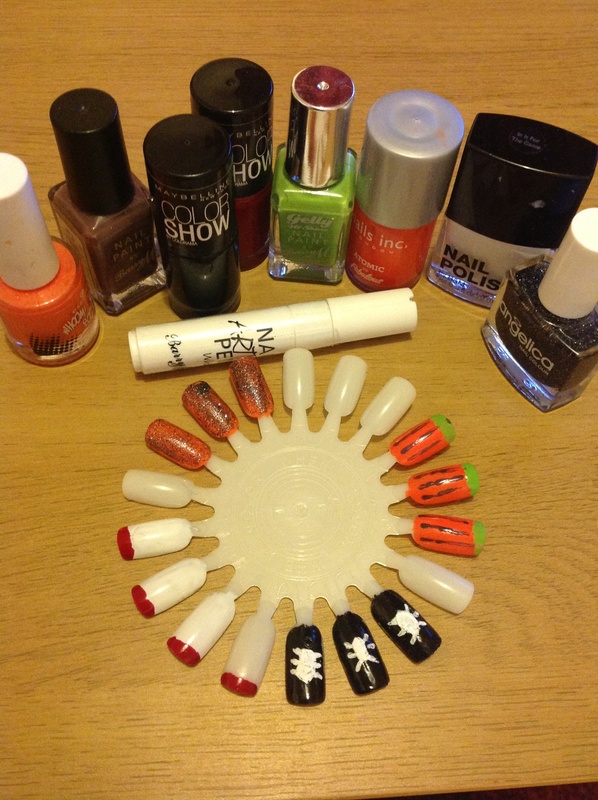 If that isn’t your scene but you still would like to embrace the spooky season, why not dress up your nails instead? Its cheaper, less effort and nobody can accuse you of being a party pooper. 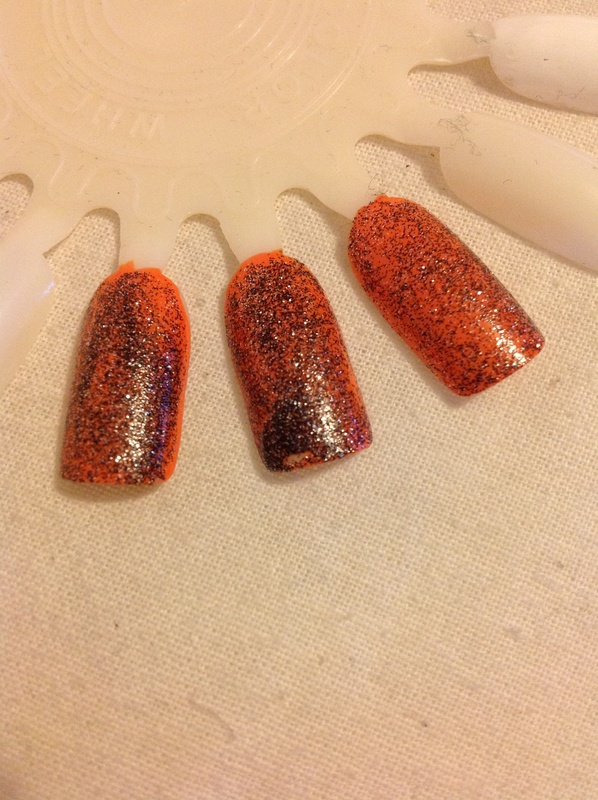 1) Glittery Witchy nails:(Nails inc in Atomic as a base with Angelica in Fallen Angel on top.) Definitely the most wearable of the lot, I love this easy nail look that gives a slight witchy feel but without being over the top. 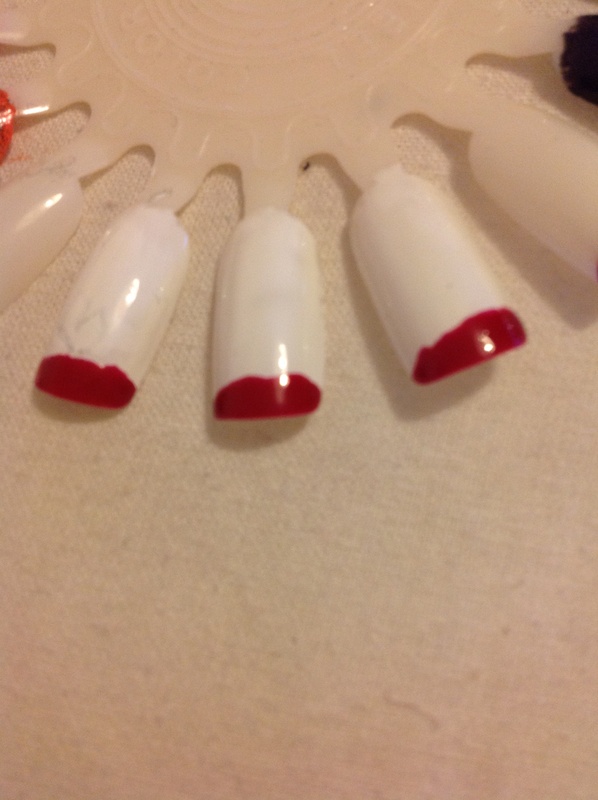 2) Bloody tipped nails: (H&M white polish as a base with Maybelline colour show in candy apple on the tips) these are very much inspired by one of my favourite tv shows dexter. I call them gory chic! 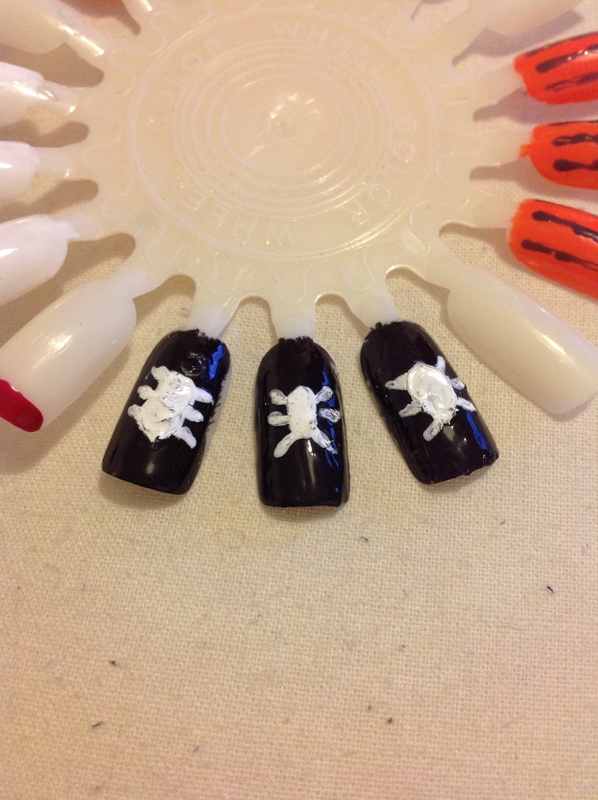 3) Spider nails: (Maybelline colour show in Blackout with Barry m nail art pen in white)Perhaps, not my finest hour I will admit. Half way through I ran out of the black nail polish and it got all gloopy and messy…But I decided to include it anyway so turn a blind eye on the sloppiness please! 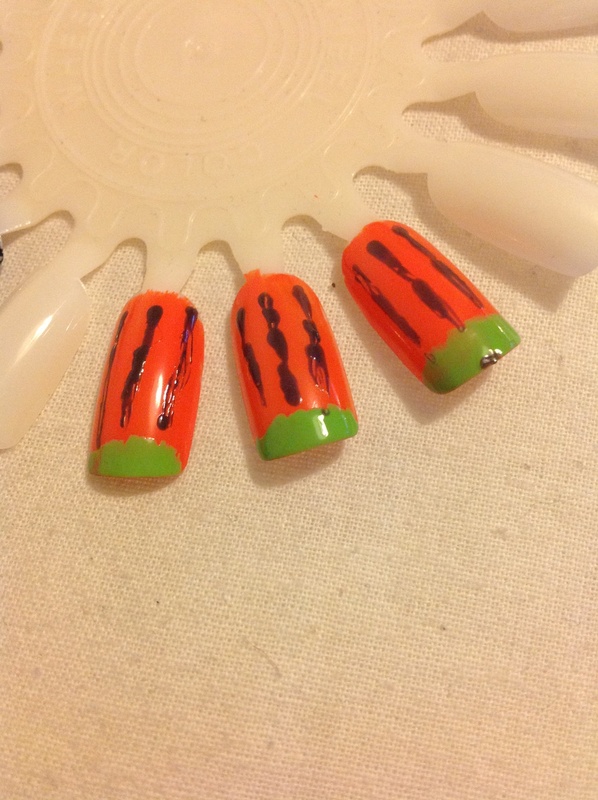 4) Pumpkin nails: (Essence in “Andy, you’re a star” as the base with Barry M in key lime and dusky mauve) These are just adorable in my mind and have definitely inspired me to try out more fruit n veg themed nail looks in the future. Have a fun and spooky Halloween everybody!